Powdered Iron Parts – Comtec Mfg., Inc. Typically, this is accomplished through the use of a cast or die, and many different materials can be used in this process (iron being one of the most common materials used). 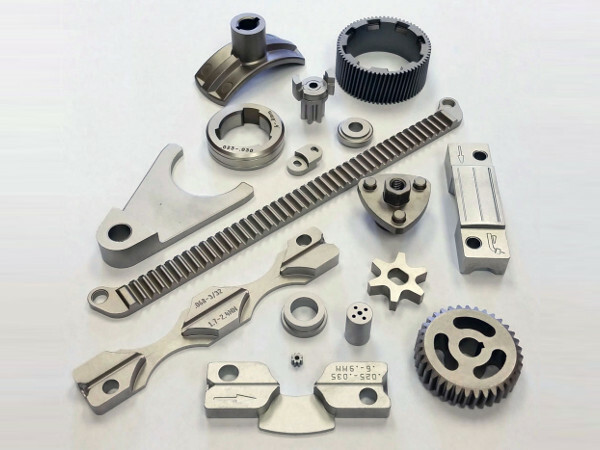 Now this can vary from application to application, so we encourage you to consult with a knowledgeable powered metal parts manufacturer who has the experience and expertise to determine the right type of metal material for your application as well as knowing the right manufacturing technique to use. There are a number of different metallurgical processes that are used when dealing with powdered metal parts, from sintering to metal injection molding and everything in between. Each process provides certain benefits and advantages which make them ideal for use in certain applications and industries. 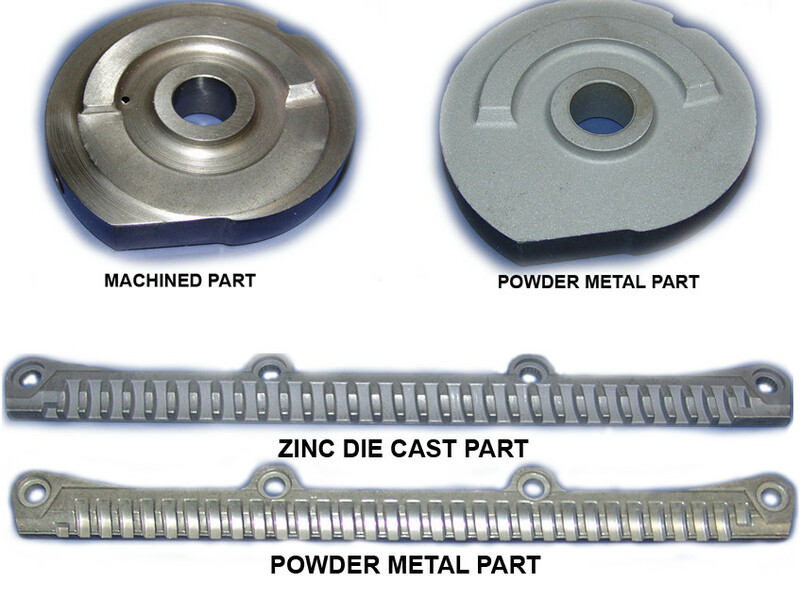 Regardless of which type of manufacturing process is chosen, the first step to any form of powdered metal parts manufacturing is turning the raw metal material into a powder. This is typically achieved through the use of grinding, crushing or occasionally the use of chemical reactions in order to efficiently break down the solid metal into a powder form. One such way is called atomization, which converts the material into a molten liquid which is then sent through a small tube at a high rate of speed. This results in tiny molten droplets which then harden into a fine powder. Once all of the powder is gathered, the powder is compressed, usually in a die. The powder is placed into the die then exposed to a high amount of pressure to the point that the powder is almost compacted together. This is where the manufacturing process of powdered metal parts tends to vary, so consult with your selected powdered metal parts manufacturer to see what style of metallurgy they prefer and if that lines up with your desired goals. As with most things in the manufacturing world, in order to receive a product that fits your needs and requirements you must share these with your manufacturer. There are a lot of different paths to take when it comes to powdered metal parts and metallurgy, be sure you have the right guide.